PEMA stationary panel welding line with one panel welding machine is usually designed for small or medium-scale batch production and can have 2-6 SAW power sources. The typical panel width is up to 2000 mm. Modular PEMA panel production line can be build according to fabricators capacity needs by picking up certain elements from the complete system. Line can be upgraded in case the production capacity needs to be raised. A production line can also be designed to be extended from one to two machine lines, if required later on. The same can be done with welding heads; e.g. 4 heads can be extended to 6 heads. Modular PEMA panel production line can be build according to fabricators capacity needs by picking up certain elements from the complete system. Line can be upgraded in case the production capacity needs to be raised. 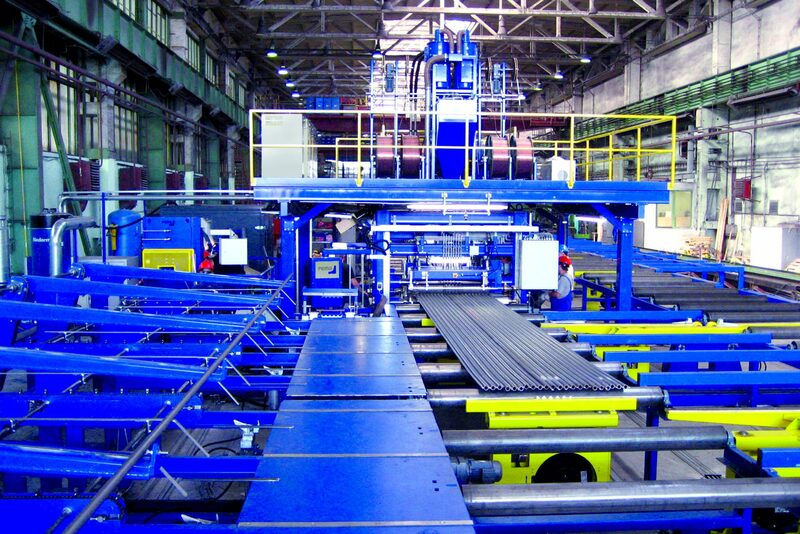 A production line can also be designed to be extended from one to two machine lines, if required later on. The same can be done with welding heads; e.g. 4 heads can be extended to 6 heads.